It's easy to paint a pear. 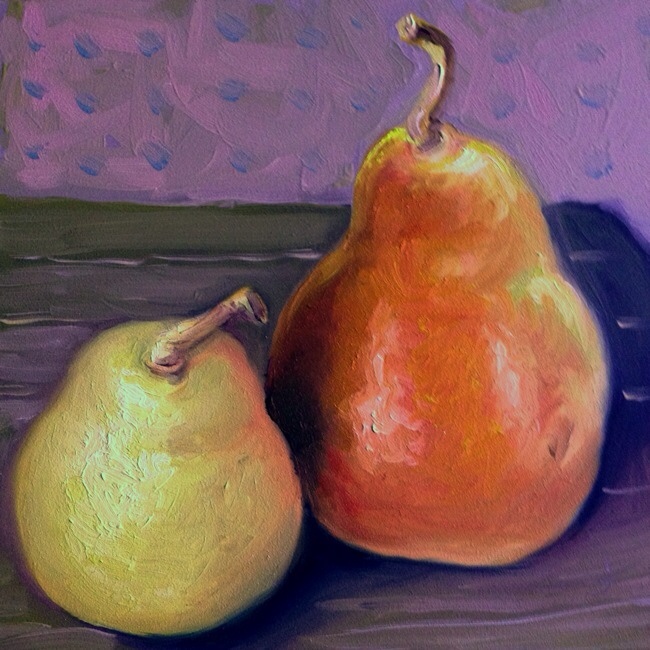 It's not so easy to paint the “pearness” of a pear. Probably that's why so many of us try so often. One reason, at least. These are some juicy pears my friend. Round and ripe just like I want them. Pear: A widely cultivated tree (Pyrus communis) in the rose family, having glossy leaves, white flowers grouped in a corymb, and edible fruit. Finding out the meaning in the dictionary now shows me why you like to paint pears. I know now why a pear tree in bloom is so beautiful and the fruit is so good. They do make beautiful pictures.